Born in Havana. Lives and works in Palma de Mallorca, Spain & Havana, Cuba / BIOGRAPHY RESUME: Member of the UNEAC: National Union of Writers and Artists, Cuba / Between 1986-1990 Participates in exhibitions and murals (Urban Wall Paintings) with "Arte Calle" group. 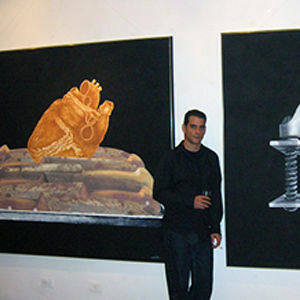 / Between 2001-2005 was professor of "Art & Anthropology" at the Higher Institute of Art (ISA: University of the Arts), Havana.